West Virginia native Dee "Ducky" Smith has created a rock opus against the drug epidemic that is ripping through his hometown of Huntington, West Virginia. Smith crafts a picture that at times is dark and murky. On "Heroin Curse", he sings ,"You say your life is full of misery and pain. You were taught nothing ventured, nothing gained. Said you'ld try it once or twice and you could stop. Just one hit, your knees would buckle and drop, you told all those lives and stole money from your mother's purse. Now you've fall for the heroin curse." His voice is ominous and haunting and the music is powerful. At times he captures the best of haunting 60's rock like Eric Burdon and The Animals. It's not a pretty story but Dee Smith captures the grit and danger very well. It's a cd that touches the listener and leaves the listener with points to ponder.. Much like epic Bruce Springsteen songs, a listener can feel the pain, desperation, and suffering of the characters. 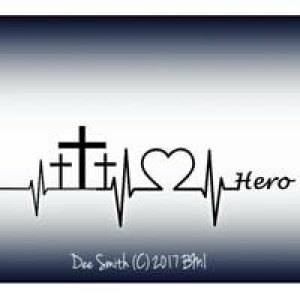 While he shows the pain and the damage done in "Heroin Curse" and "Heroin", the artist also paints a picture of hope and recovery in "Hero" and "You Are Loved" The latter also contains an awesome guitar solo. Ducky also lends his haunting vocals to a cover of Johnny Cash's and The Nine Inch Nails classic "Hurt." Although the CD paints a picture of destruction, it offers hope and a positive message that we can survive this drug epidemic. Dee "Ducky" Smith has stepped up and delivered a gritty but affective concept EP on the drug epidemic to raise awareness and gather support against the drug epidemic.